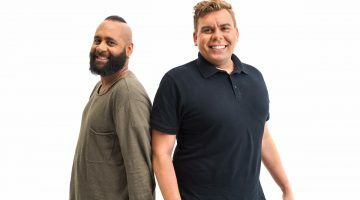 "I've had a lot of difficult conversations around my sexuality and I think those struggles were triggered by speaking with the wrong people"
Qheadspace is the latest initiative by headspace, Australia’s youth mental health foundation, and it focuses on supporting LGBTI youth. Matthew Wade reports. 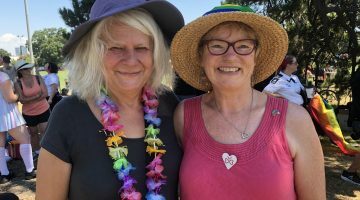 When Sara Strachan was living in regional South Australia, she often worked with young people who were struggling with their sexual or gender identity. “We were having a chat one day, and they were telling me some of the negative things their parents were saying to them,” she says. “So I thought, why don’t we create a Facebook group for people who identify as part of the rainbow community? At the same time, young mental health advocate Charlie Cooper had also been wanting to do something in a similar space with young people. However, he felt face-to-face chats might be daunting for young people and was trying to think of an online platform that might work. The pair ultimately joined forces and from there, Qheadspace was born. Qheadspace, a new initiative from national youth mental health foundation headspace, will provide a safe place for young sexuality and gender diverse people to seek support from their peers through dedicated online chat and forum group sessions. Through the free and confidential service, peer workers will be appropriately trained to ensure quality advice and information is provided to young people and referrals are made when necessary. 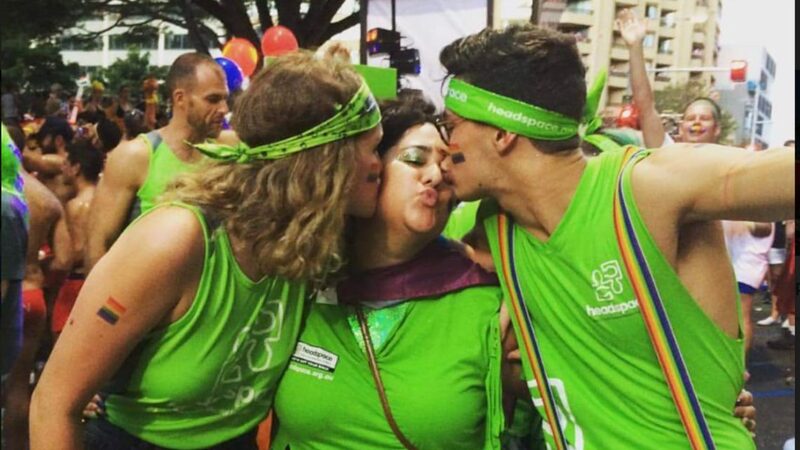 On average around Australia, 18.3 per cent of young people who visit headspace centres identify as LGBTI, with some centres recording figures as high as 25 per cent. Strachan, who championed the creation of Qheadspace with Cooper, says it’s an invaluable service for LGBTI youth. “I think it’s really important because you can’t underestimate the damage a negative conversation can have,” she says. “We need to have safe spaces with people who know what to say. “For me it means a lot because I myself have had a lot of difficult conversations around my sexuality and my gender, and I think a lot of those struggles were triggered by speaking with the wrong people. The Qheadspace peer to peer support service is available for sexuality and gender diverse young people aged 12 to 25, and will be available to people experiencing issues around coming out, dealing with discrimination, establishing positive relationships, and any issues they may want to talk through. A person who has lived experience will be in the chat sessions and they’ll discuss their situation, history, and the support available to young people. Strachan says speaking with someone that has had the same experience as you can make a world of difference. “It’s really exciting – we’re training more queer peers, so young people with lived experience of identifying along the LGBTI spectrum and experience with mental health issues will be able to support other young people,” she says. If you’re having a tough time, visit your local headspace centre or contact eheadspace on 1800 650 890 or visit www.eheadspace.org.au.